STORRS. Connecticut Repertory Theatre (CRT) begins the second half of the 2018-19 season with Rupert Holmes’ Tony Award-winning musical, “The Mystery of Edwin Drood.” Paul Mullins will direct the interactive musical mystery. Performances will be held in the Harriet S. Jorgensen Theatre February 28 - March 10. For tickets and information, please visit crt.uconn.edu or call (860) 486-2113. In this unsolved, unfinished, musical murder-mystery, you choose the culprit! Based off of Charles Dickens’ incomplete last work, Rupert Holmes’ innovative, interactive musical won three Tony Awards and five Drama Desk Awards when it originally premiered. Set in a Victorian musical hall, the bawdy crew of performers at The Music Hall Royale act out the tale as far as they can. They will regale you with an entertaining evening – but need your help to finish the story. Tonight - Edwin Drood’s fate rests in your vote! 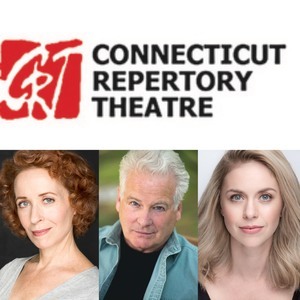 Paul Mullins returns to the Connecticut Repertory Theatre where he has previously directed the world premiere of “I’m Connecticut” by Mike Reiss. Other CRT credits include, last season’s “The Crucible,” “The 25th Annual Putnam County Spelling Bee,” “Much Ado About Nothing,” “Urinetown” and others. The production will be led by Broadway and Regional theatre veterans Emily Ferranti, Kelly Lester, and Kurt Zischke. Emily Ferranti makes her CRT debut in the role of Miss Alice Nutting/Edwin Drood. She most recently finished the Broadway National Tour in the original company of “An American in Paris” (Milo Davenport). She also performed in Broadway’s “Wicked” (Glinda/Nessarose U/S). Other National Tours include “Wicked” (Nessarose) and “Dreamgirls” (Sweetheart). She has also performed at Radio City Music Hall in the “Radio City Spring Spectacular” (Directed by Diane Paulus and Warren Carlyle). Kelly Lester makes her CRT debut in the role of Miss Angela Prysock/ Princess Puffer. Recent regional theatre credits include “Mame “(Mame) with Musical Theatre Guild, “Cabaret” (Fräulein Schneider) with La Mirada Theatre, and “The Spitfire Grill” (Hannah) with Penobscot Theatre. Kelly received the LA Ovation and Stage Scene LA Awards for “The Boy From Oz” (Marion) and “Adding Machine – A Musical” (Mrs. Zero). Television credits include “Angie Tribeca,” “The Haunted Hathaways,” and “Criminal Minds.” Film and New Media credits include “Mr. Church, J. Edgar,” “Becoming Bond” (HULU), “The Bad Twin” (LMN), and “Good Game” (YouTube Red). Kurt Zischke (Mr. William Cartwright/Chairman) returns to the CRT stage after playing Cardinal Barbarini in “Galileo.” Broadway, Off-Broadway, and National Tours include “Signs of Life,” “Whistle Down the Wind,” The Buddy Holly Story,” “The Three Sisters,” “Antigone,” “King Lear,” “A Doll’s House,” “The Beaux’ Stratagem,” “George Abbott’s Broadway,” “Barbara’s Blue Kitchen,” and “Ulysses in Nighttown” among others. Regionally, he has appeared across the country at theatres including The Repertory Theatre of St. Louis, The Pioneer, Cincinnati Playhouse, Westport Country Playhouse, Pittsburgh Public, La Jolla Playhouse, Williamstown Theatre Festival and others. The creative team includes: Paul Mullins (Director), Alex Thompson (Music Director), Rebekah Santiago (Choreographer), Alexander Woodard (Scenic Design), Joey Morrissette (Lighting Design), Brittny Mahan (Costume Design), Teddy Carraro (Sound Design), Eilis Garcia (Dramaturg), and Tom Kosis (Stage Manager). The cast includes Bryan Mittelstadt (Mr. Clive Paget/John Jasper), Rebekah Santiago (Miss Janet Conover/Helena Landless), Mauricio Miranda (Mr. Victor Grinstead/Neville Landless), Nikolai Fernandez (Mr. Cedric Moncrieefe/Rev. Crisparkle), Rob Barnes (Mr. Nick Cricker/Durdles), Matt Bader (Master Nick Cricker/Deputy), Sebastian Nagpal (Mr Philip Bax/Bazzard), Aaron Bantum (Mr. James Throttle/Stage Manager), GraceAnn Brooks (Miss Deirdre Peregrine/Rosa Bud), Erin Cessna (Miss Florence Gill), Camille Fortin (Miss Gwendolyn Pynn), Sophia Ancona (Miss Sarah Cook), Alexandra Brokowski (Miss Violet Balfour), Kristen Wolfe (Miss Christina Lyon), Casey Wishna (Mr. Harry Sayle), Tyler Nowakowski (Mr. Montague Pruitt), Tristan Rewald (Mr. Nicholas Michael), Jack Dillon (Mr. Alan Eliot), and Angus MacLennan (Mr. Medford Moss). Evening performances start at 7:30pm on Wednesdays and Thursdays, and at 8pm on Fridays and Saturdays. Select matinee performances start at 2pm on Saturdays and Sundays. Single tickets are available now. Single tickets range from $36 to $40. All student tickets are $10. Discounts are available to seniors. A Pay-What-You-Can performance will be on Thursday February 28. Patrons can pay as low as $1 dollar that night, at the door, when they bring a canned food item. Limit one ticket per person, subject to availability and not valid on prior sales. On Saturday March 9, the 2:00pm performance will be an American Sign Language Interpreted performance. Please contact the box office for the best available seats at 860-486-2113. Post-show discussions with members of the cast and crew will follow the performance on Thursday, March 7th at 7:30pm and the matinee, Saturday, March 2nd at 2pm.